Sarah is a driven Human Resources practitioner who carries a true passion for the HR profession. She has practical experience in HR Business Partnership, Performance Management, Employee Relations, Training and Development and HR Administration. Committed to driving positive business results by working closely with company leadership. Prior to joining ConnectedHR Sarah lead Acumen Solutions’ HR team as a HR Business Partner for their Global Services group. She also served Aclara Technologies, LLC. as their HR manager where she specialized in advising and coaching managers and employees in such areas as Employee Relations, Employee Engagement and Retention, Training and Development, Performance Management as well as general HR Administration. Additionally Sarah holds an OSHA 10 certification. 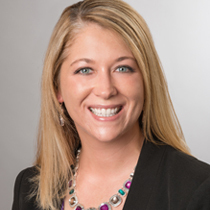 Originally from Strongsville, Sarah resides in Sagamore Hills with her husband and 3 children. Sarah strives to understand her client’s business and their team in order to develop the people strategy in their organization. She works closely with leaders to implement and deliver on various Company and HR strategic initiatives that impact their employees and business.